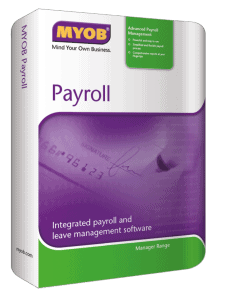 MYOB software is an integrated accounting software developed for small to medium sized businesses. Every business, whether has one common need – bookkeeping or accounting. Whether you currently keep track of your bookkeeping via manual spreadsheets, or you use another software, MYOB (Mind Your Own Business) software may be just for you. 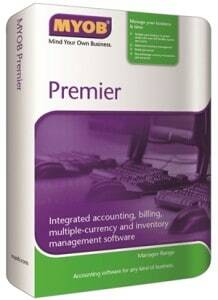 This software package is an easy and efficient way to keep track of all of your accounting needs. Efficiency – whether you are doing manual entries or you are using another subpar software, entering daily transactions can be time consuming. MYOB allows you to streamline your daily transactions, allowing for not only quicker entry, but more accurate entries. Up To Date – when utilizing a software such as MYOB for your daily accounting needs, you are able to have up-to-the-minute access to the financial picture of your business. This allows you to run your business more proficiently, allowing for split minute decisions on the daily operation. Reporting – you will have access to a variety of reporting with your software. You can view everything from profit and loss statements to cash flow statements. Since you are able to enter information in real time, you have access to this real time information, helping you make key business decisions earlier. Accuracy – we all understand the importance of accuracy, when it comes to accounting. One wrong piece of information can be detrimental to a business. When utilizing the MYOB software, your transactions are posted to the appropriate reports for tax reporting and more. This eliminates the need for multiple entries, lessening the risk of mistakes. Get all the solutions today! The list of benefits that this software can provide your business is staggering. There is a reason it is trusted by more than one million businesses, to handle all of their accounting needs. With the many options available to you through MYOB, you are sure to find the right solution for your business. With also un-paralleled after-sales support, MYOB is your one-stop shop for everything you will need to complete your accounting. Ascend Edge Pte. Ltd. is a professional accountant of MYOB. Being an authorized reseller, we provide you with a complete solution to meet your business needs, from pre-purchase consultation and demonstration to after sales training and support. Call us now! Click on each icon to find out more! Automate your entries and manage your sales and billing effortlessly! Get accurate entries while reducing time on reconciliation. View customized reports at your fingertips! Robust inventory tracking system. Record detailed descriptions of your inventory, with full automatic back-ordering capability. Simple to use, power-packed and feature-rich software,ensures that your payroll stays timely, error free and compliant to CPF and IRAS regulations. Streamlines the store and warehouse operations and helps you better manage sales, inventory and customers. Contact us now to enjoy the benefits of MYOB software. Thousands of businesses worldwide can’t be wrong!